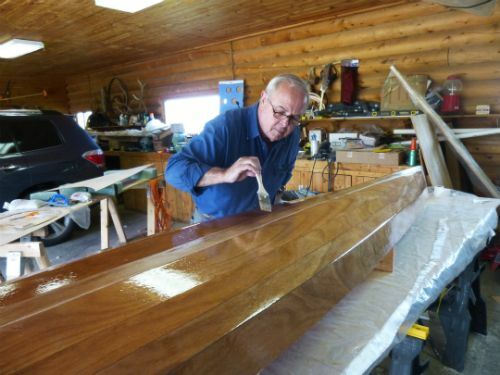 Our customers understand the joy and sense of accomplishment that comes with creating something with your own hands. 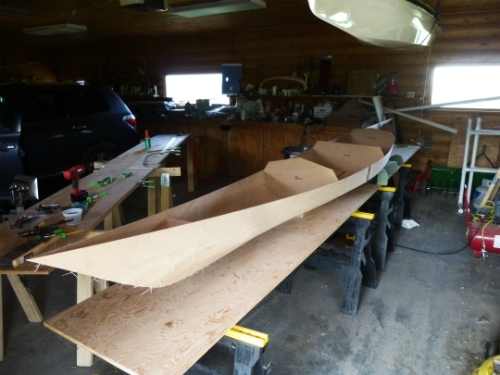 They carve out time to build their own boats. 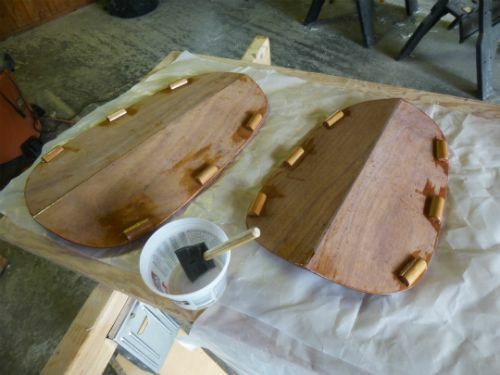 Then they make time to use them. 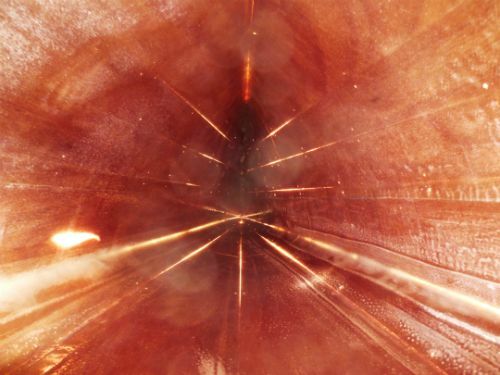 In this day and age, we think that’s pretty spectacular. 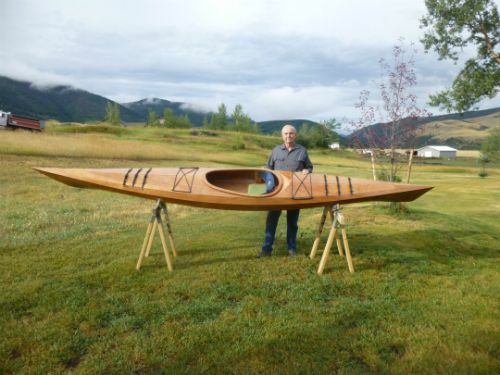 Let us introduce you to one such individual: Dave Elliott, of Montana, who built a Borealis over the course of 3 months and photographed the entire process. 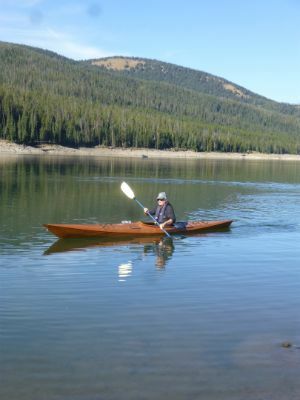 I am a 66 year-old retired Air Force pilot. 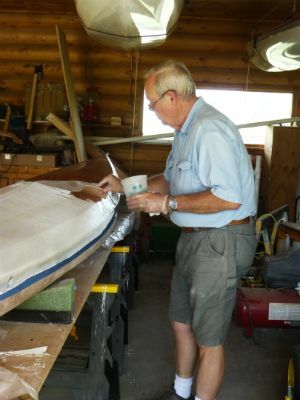 I grew up around boats as we summered at our family cabin on the coast of Maine. 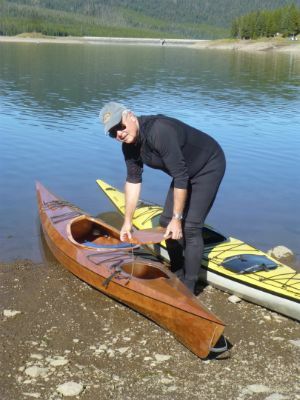 My wife, Carol, (also a retired Air Force officer), and I caught the kayak bug in the mid ’90s and still have the Neckys (glass and carbon) that we bought back then. 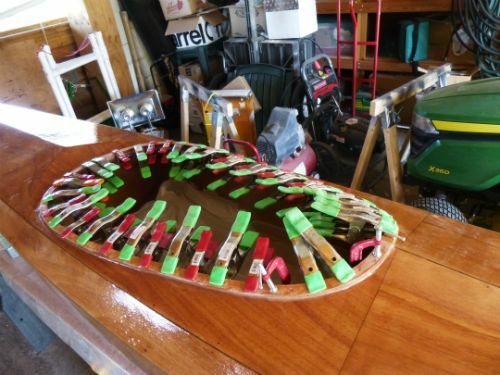 With a deep love for all things wood, I was always attracted to the wooden kayaks featured in the magazines and the ads. 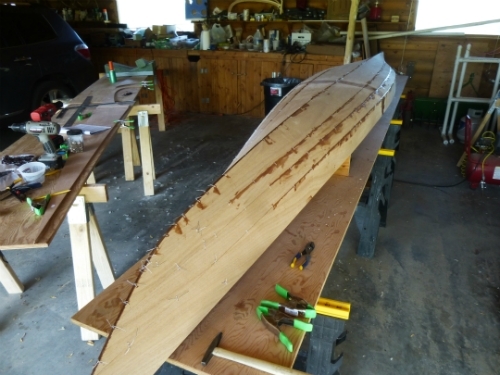 I decided as a legacy project for my nieces, nephews, and their children I would build 2 wooden kayaks for the family compound in Maine. 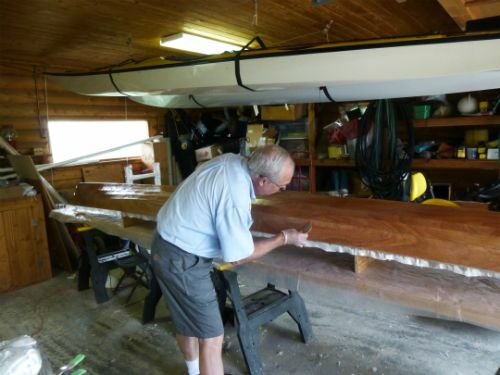 While driving those 2 boats to Maine we visited a friend’s home on Lake Anna, Virginia. 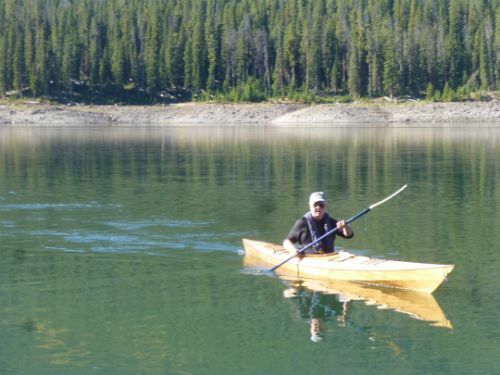 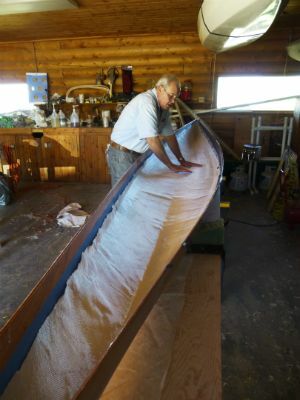 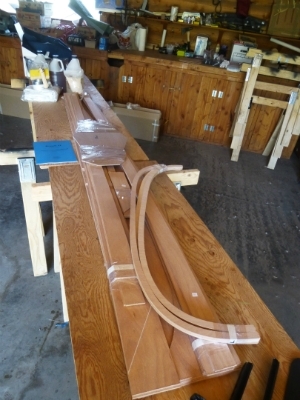 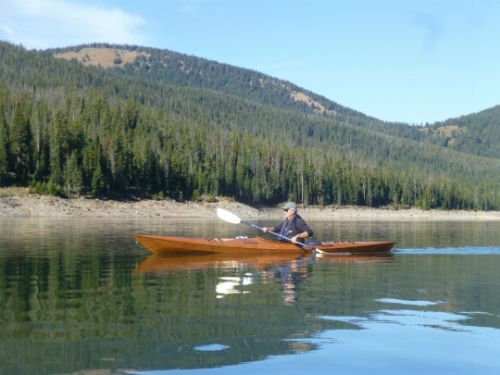 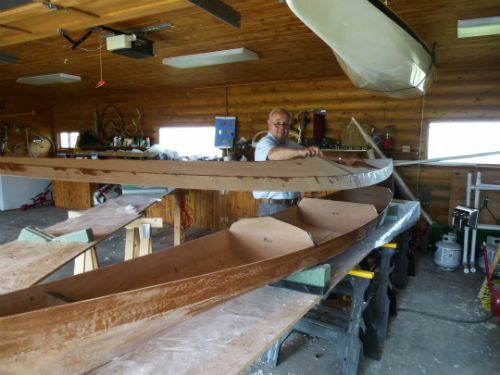 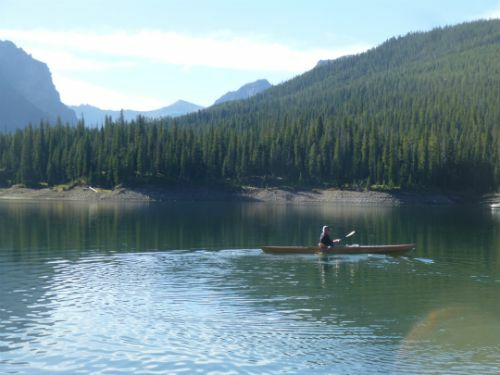 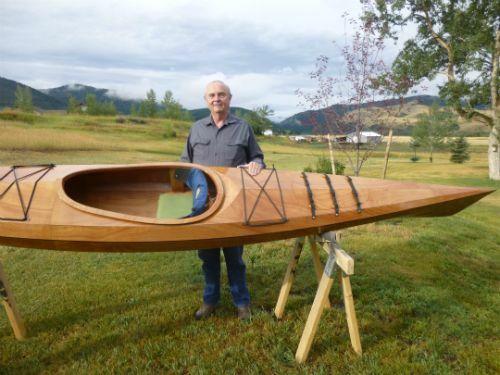 He and his wife fell in love with the kayaks and I agreed that if he would order the kits, have them delivered to me in Montana, and come out for 2 weeks we would build them together. 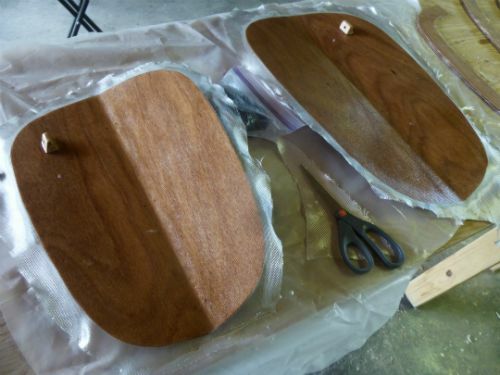 We did and they are thrilled. 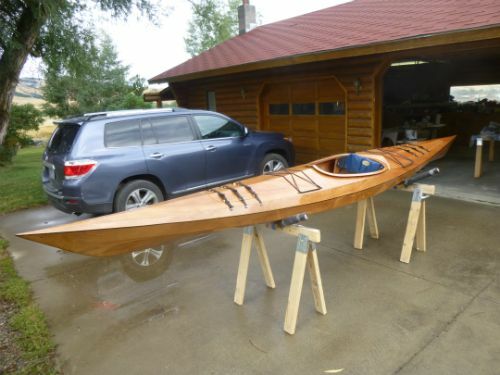 I realized that I have made lots of others happy with the warmth and beauty of wooden kayaks, and I enjoyed building them, but I needed one for ME! 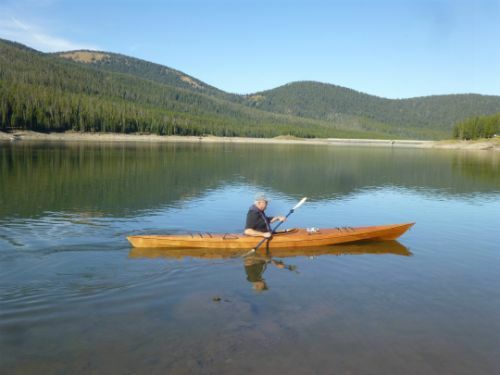 At 6’2″ and 235 pounds I am right at the max recommended weight for most of the kit kayaks-EXCEPT for the Borealis XL. 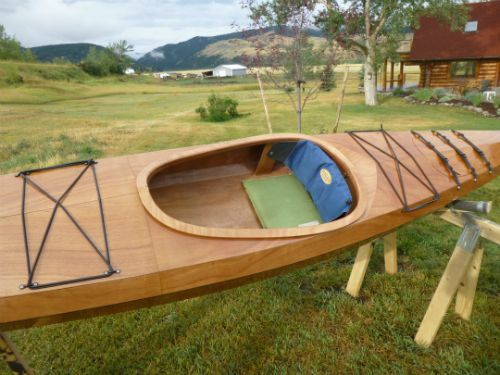 After a visit to Pygmy Kayaks in February 2014, I realized that this was the boat for me and I ordered one as my summer project. 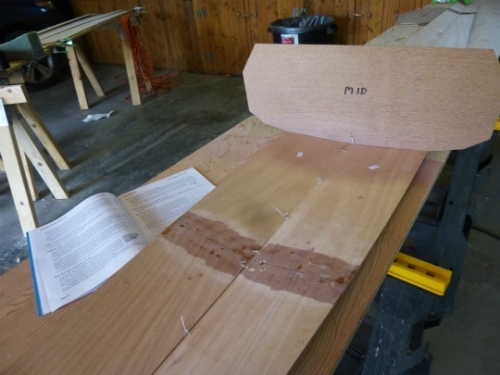 I have come to love the stitch and glue process and working with epoxy, and it was good fun comparing and contrasting the differences in build procedures between Pygmy and the company I had dealt with previously. 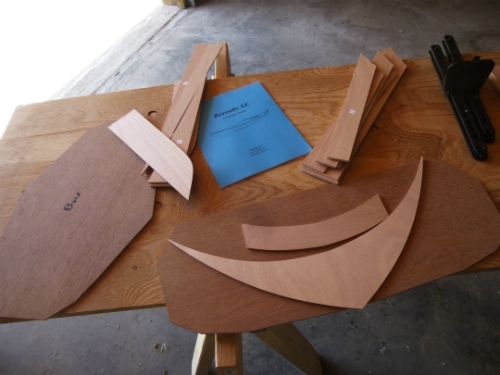 The one most critical factor in both kits is the precision cut of the parts. 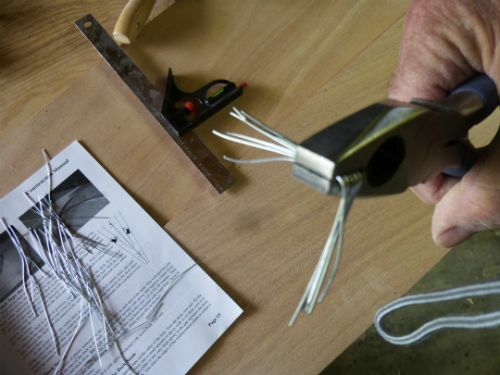 The Pygmy instruction manual is beautifully laid out, logically sequenced, and easy to follow. 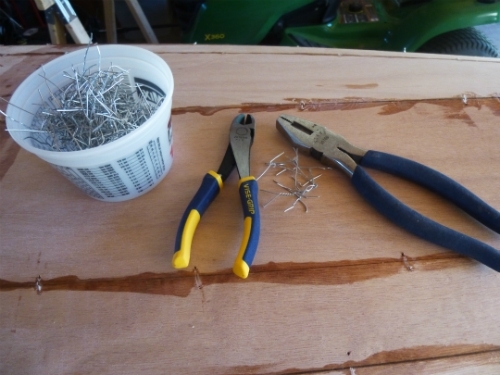 A first time builder could follow these instructions without any problem but if a question did come up the experts at Pygmy are there to help. 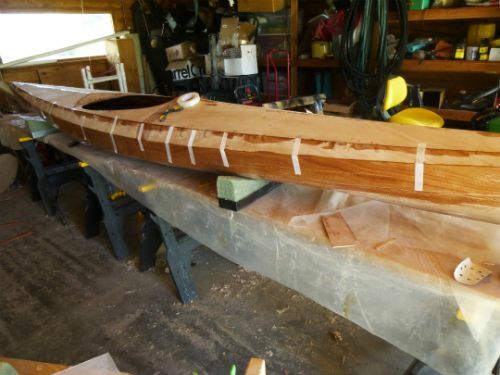 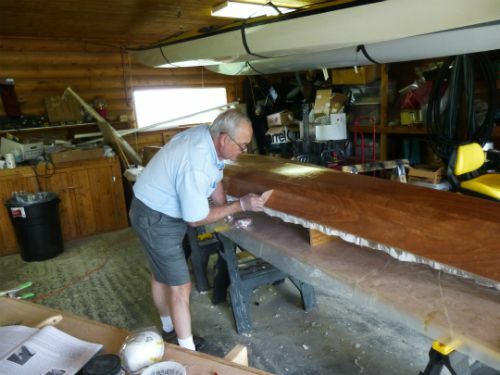 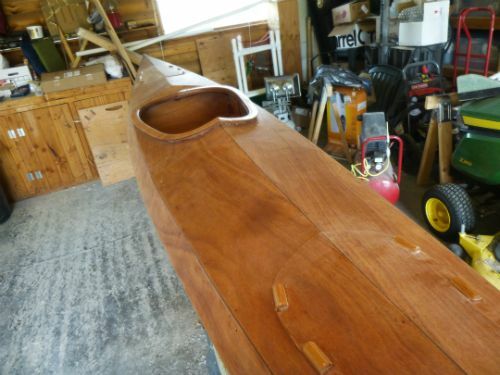 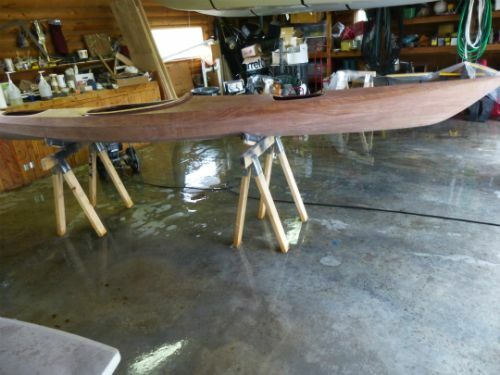 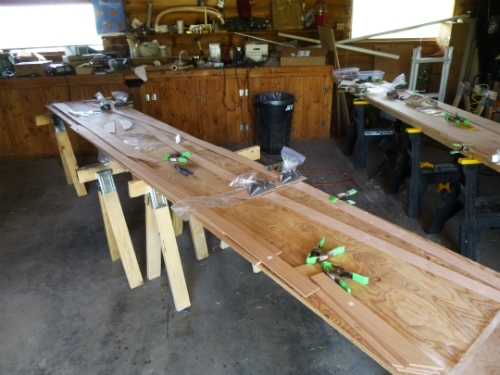 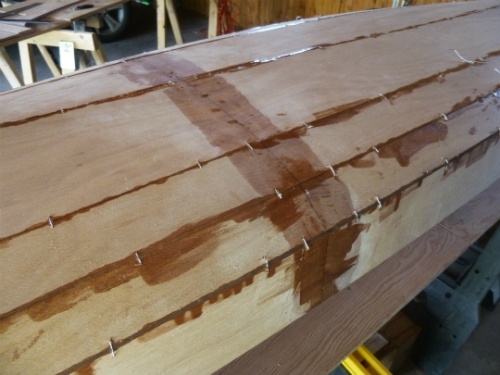 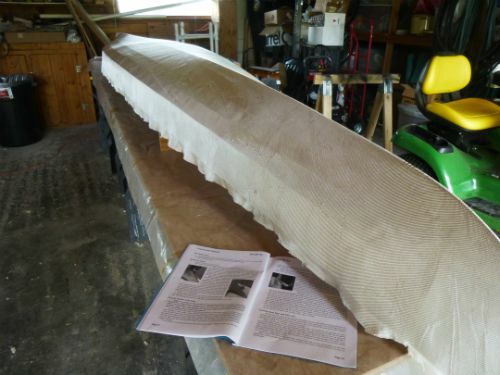 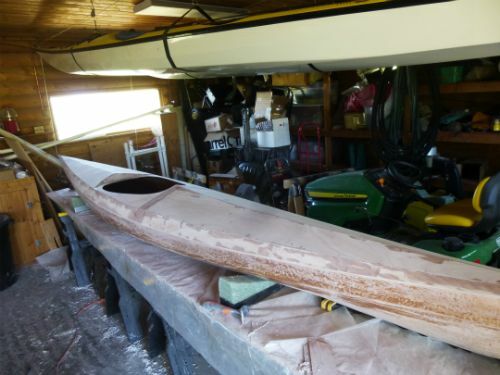 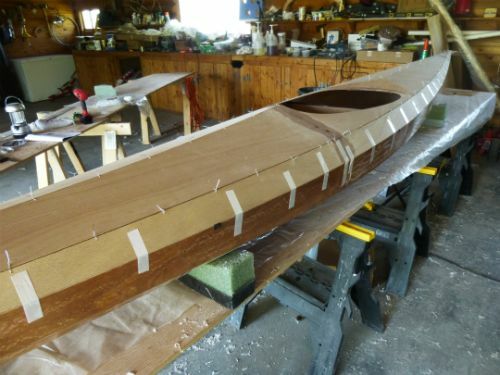 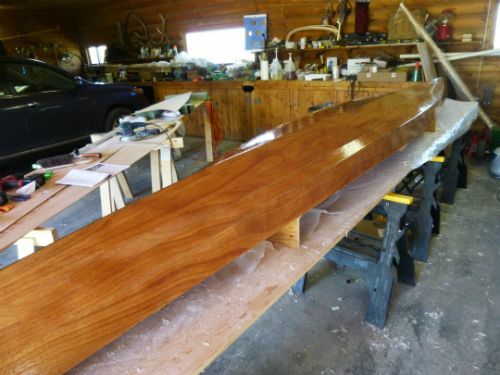 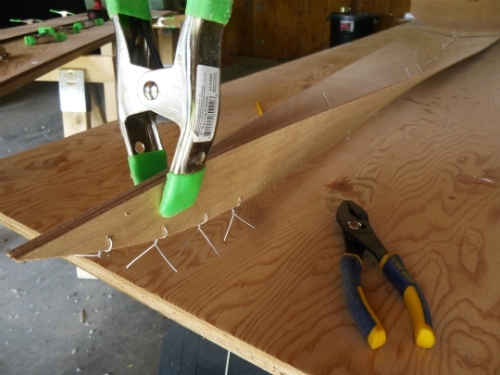 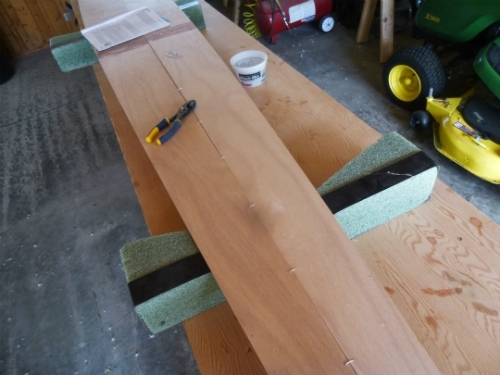 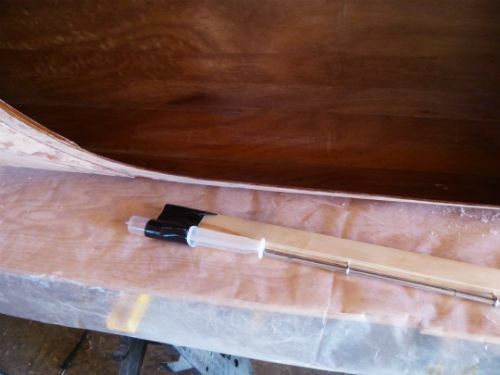 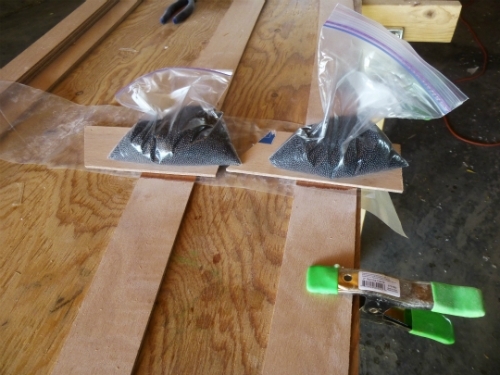 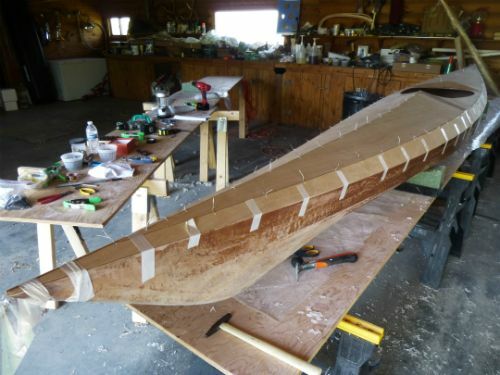 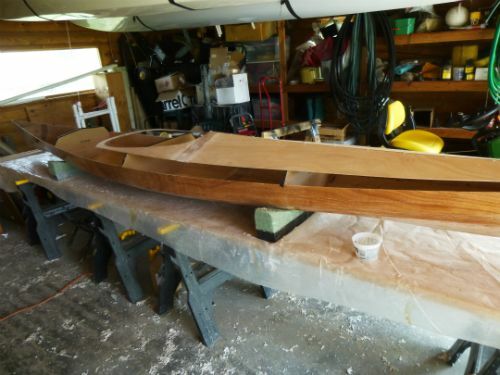 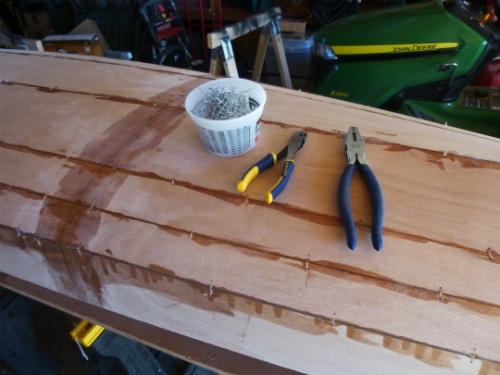 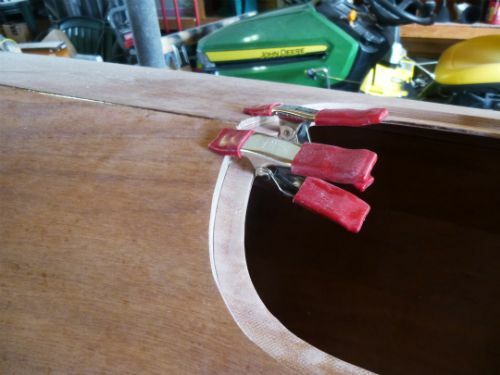 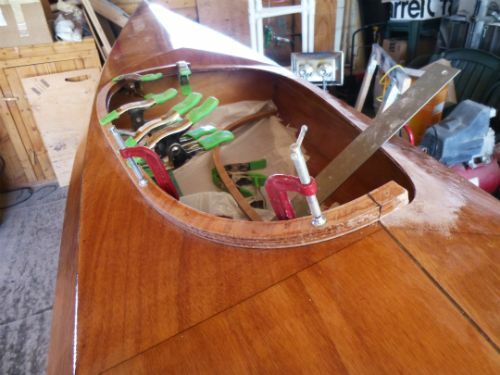 The process of building your own wooden sea kayak is great fun and rewarding on many levels. 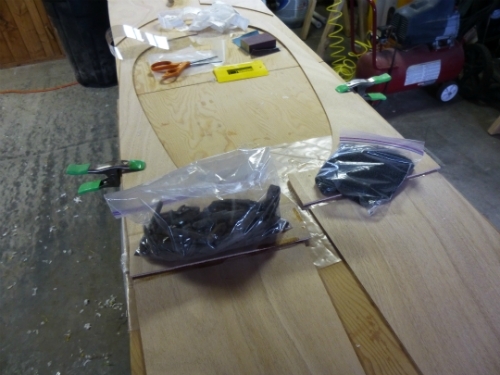 Gluing up panels and laying out parts builds the suspense of the project. 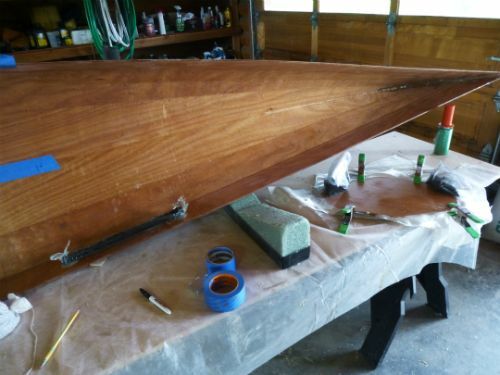 The parts come together quickly and it looks like a boat in just a few hours. 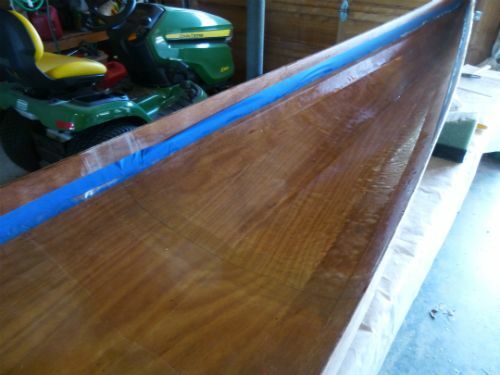 The anticipation builds as the deck goes on and you really want to see how it looks on the water. 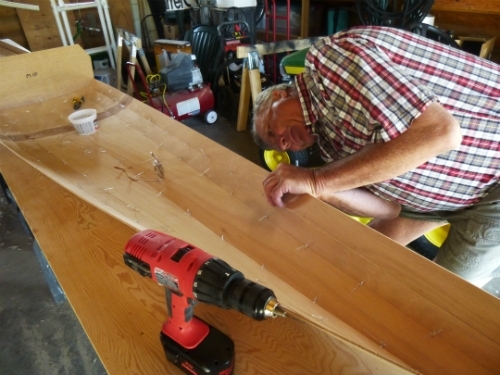 Following the building instructions makes it strong. 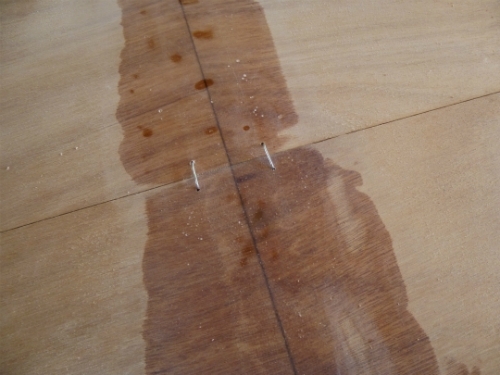 You, and your patience, make it pretty and precise. 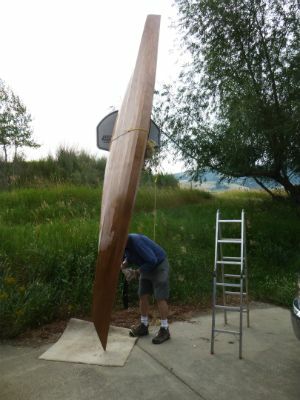 The pride you feel as you near completion is almost palpable. 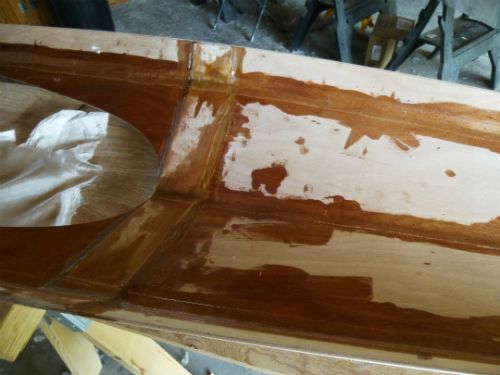 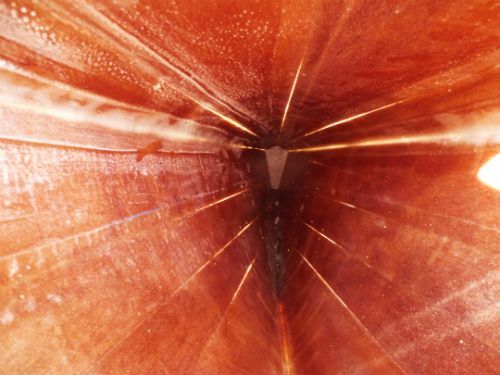 The wood grain virtually glows through the epoxy, glass and varnish, and the reaction of those who see it are great reinforcement. 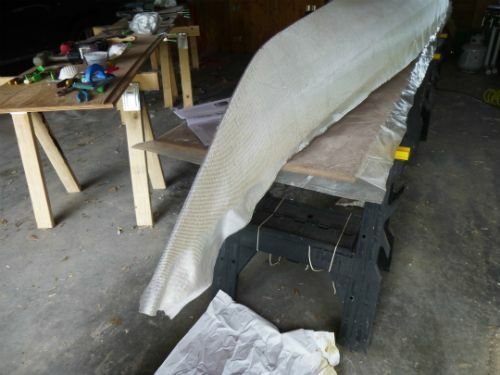 Looking at your boat is one thing but just see how often you reach out and run your hand over the fair chines and shear. 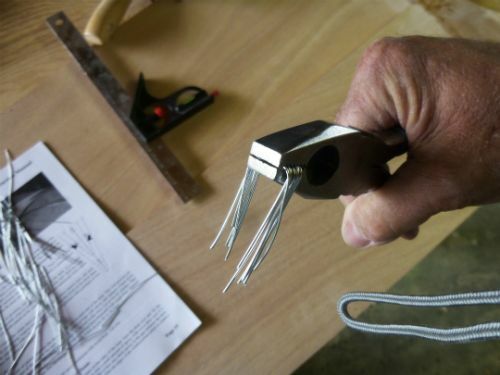 Keep your camera handy as you will want to review and re-live the steps you completed to make YOUR kayak. 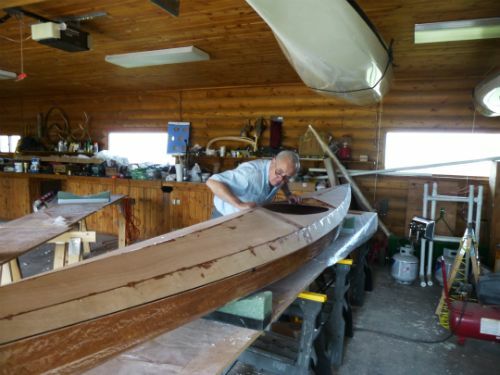 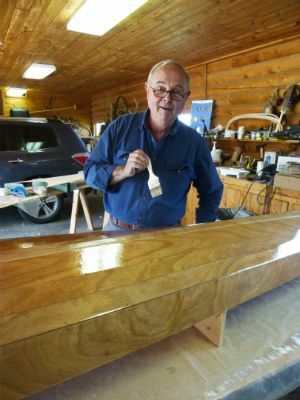 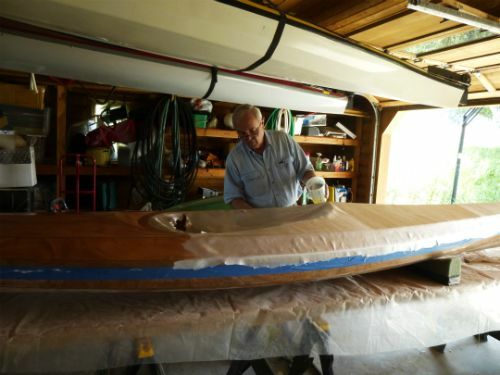 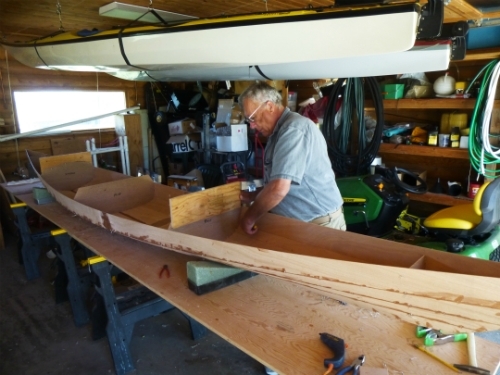 Paddling your home-built wooden kayak is an experience that is hard to describe. 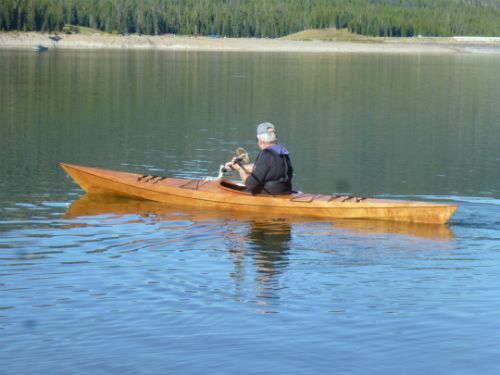 Obviously it is a beautiful and comfortable boat. 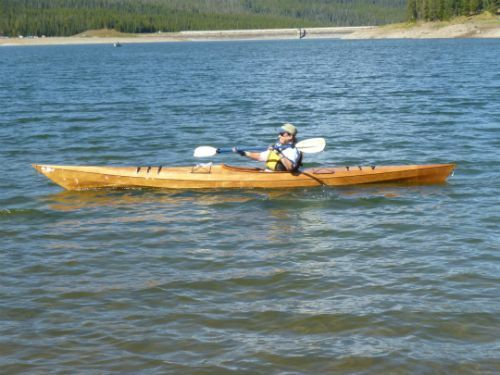 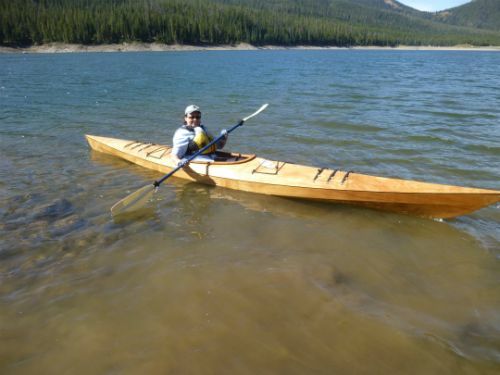 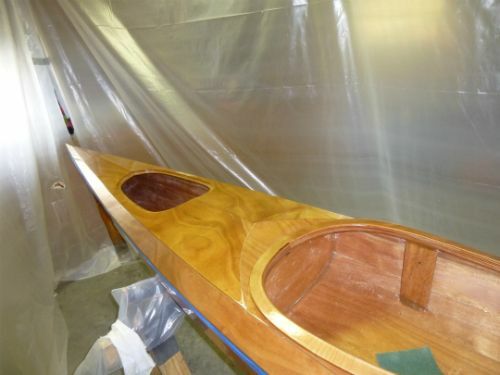 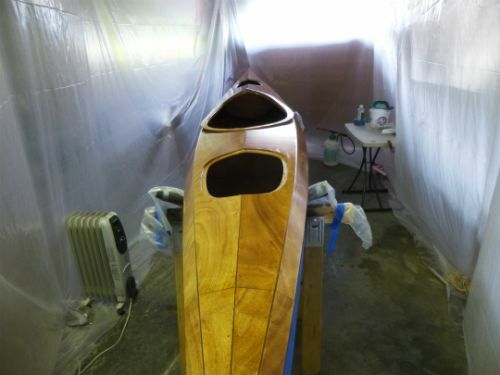 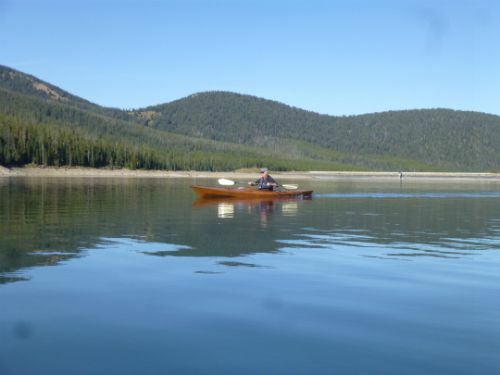 However, there is a “warm” feeling to a wooden kayak that you will not feel in a fiberglass or roto-molded kayak. 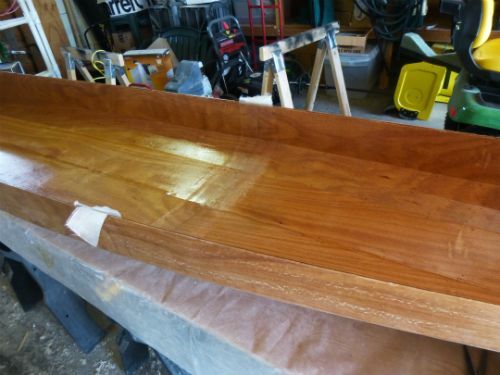 Maybe it’s the sound as you gently slap the deck; more like a base drum than an oil drum. 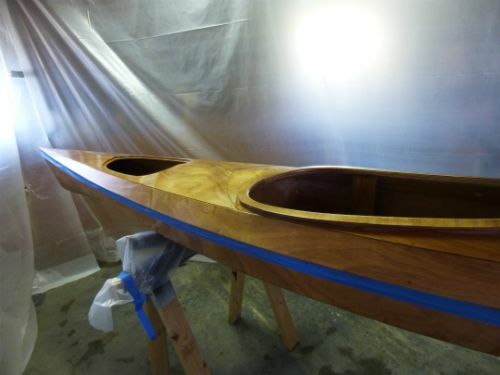 Even the big Borealis accelerates nicely through the water and glides silently into swimming ducks or schools of fish. 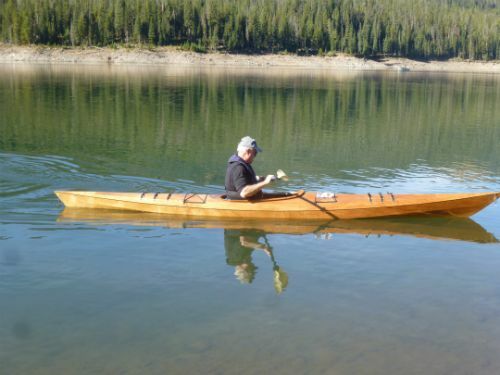 The hatch option makes me want to return to Lake Jackson in Teton National Park where we have made 5 kayak camping trips. 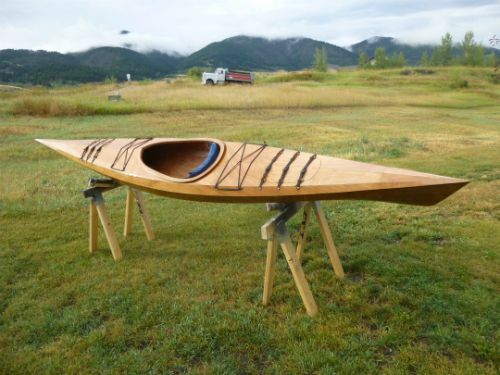 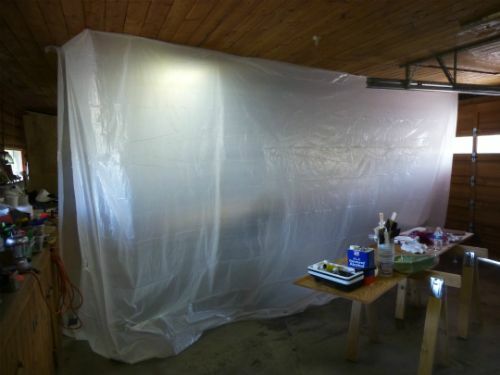 The dry storage in the Borealis would allow me to take ALL the extras for luxurious camp life. 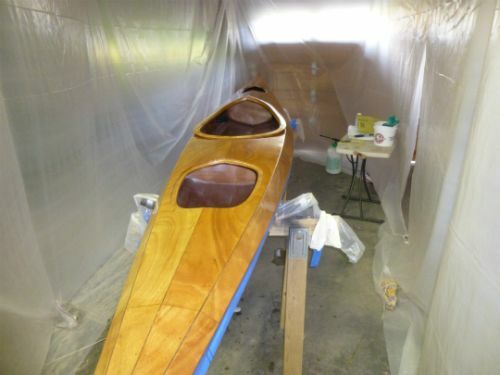 The building of a Pygmy kayak is enjoyable and rewarding enough in itself, but having the finished product makes it extra special. 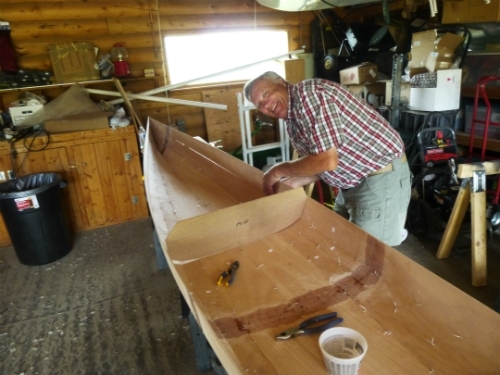 The support and encouragement of the Pygmy crew are fabulous, and you just want to share your joy with them! 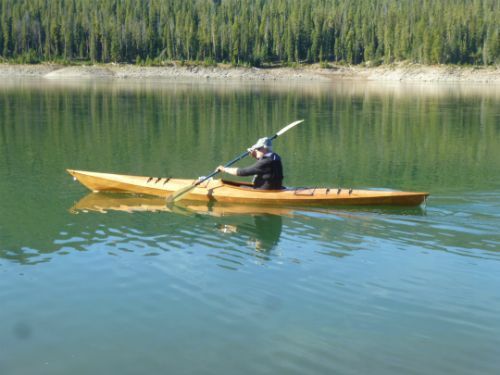 I am now in the process of deciding which kit/kayak will best fit my wife. 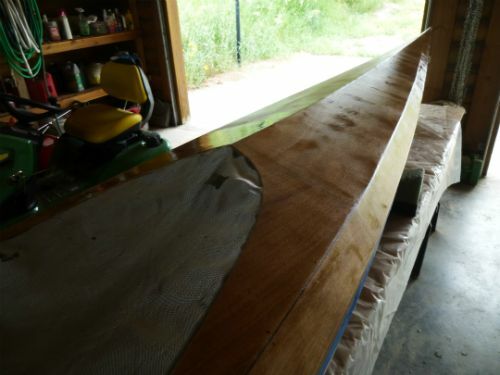 I’m really looking forward to starting the project, my 6th. 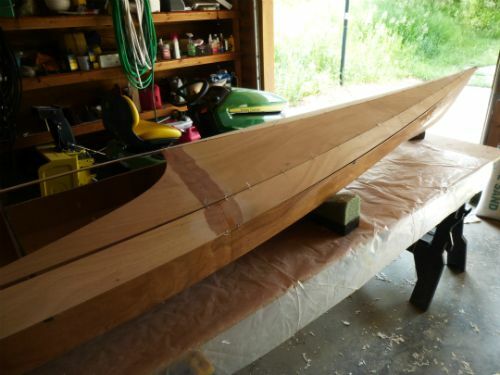 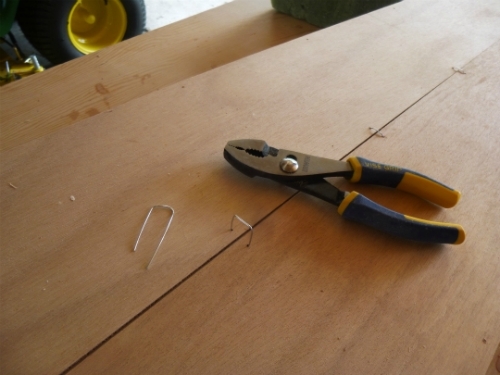 Dave has volunteered to chat with folks regarding his experience building a kayak from a kit. 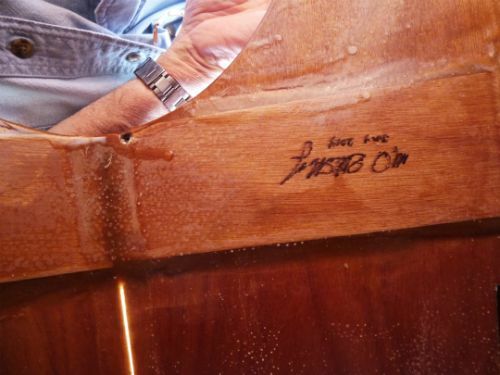 To respect his privacy we have chosen not to publish his number here. 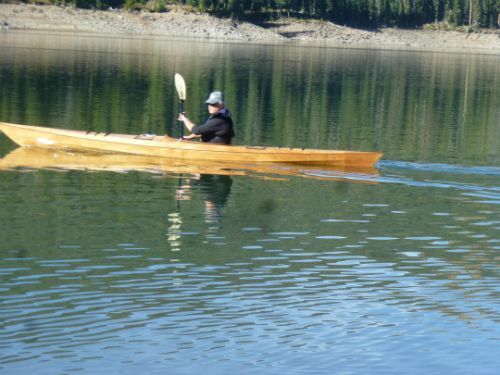 Please call us (360)-385-6143 if you are interested in chatting with him over the phone.